Porcelain tile a newer version of ceramic tile, and it is made from denser, finer clay. 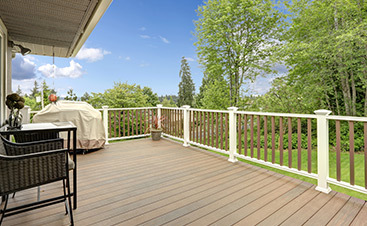 It has become a very popular flooring option since it is sturdy, durable, and scratch resistant. Last but not least, it is beautiful and can give any room in your home a sleek, finished look. There are many advantages to having porcelain tile flooring. 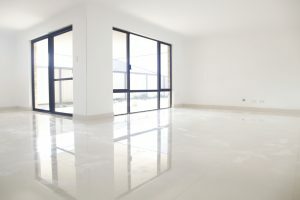 If you are updating your flooring and are wondering what you should invest in, consider these six advantages of porcelain flooring tiles to help you make a decision. Porcelain tile is extremely resistant to wear and tear. You may expect your flooring to adopt a worn look over time, due to everyday living. However, you really don’t have to worry about this when it comes to porcelain tile. It has a strength that other types of flooring just do not have because it is extremely hard and non-porous. It resists fading, chipping, stains and scratches. Typically, how your tile looks the day that it is installed is how it will look for years to come. Porcelain tile is a great flooring option if you have young children and are worried about spills and scratches. When you have porcelain tile flooring, you can take a breather knowing that you won’t have to worry about stains and rough marks on the floor. Porcelain tile is very dense and barely absorbs any moisture. If something unfortunate happens, like a flood, you won’t have to worry about water damage. This type of flooring is especially great in colder climates. You won’t have to worry about the tiles freezing and cracking. In the wintertime, many people worry about their ceramic tile floors cracking. This is a huge hassle because you can either repair the cracks yourself or pay someone else to do it. Or, you may have to install completely new flooring, depending on how drastic the cracks have become. With porcelain tiles, you don’t have to worry about this at all. 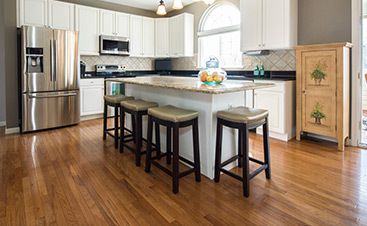 Other flooring options, like hardwood and linoleum, are hard to maintain. Wood needs to be polished, and linoleum needs to be mopped and sometimes scrubbed. Carpet is also difficult to maintain because it needs to be regularly vacuumed and cleaned with a carpet cleaning machine. Porcelain tile is so easy to maintain because it repels stains and does not require any type of sealing for water resistance. Anything that is spilled on porcelain tile can be cleaned up very easily with a paper towel and some kind of detergent. You don’t need a fancy cleaner for your porcelain tile flooring. You don’t need to spend extra money on expensive cleaning products. Porcelain tile looks great for years with very little maintenance. Porcelain tile is the best choice for areas in your home that everyone walks on the most. Porcelain will always outperform other tiles in the long term because of how durable it is. On other types flooring you will see scuffs and it might look shabby. With the right basic care and maintenance, porcelain will continue to look brand new years after you have had it installed. 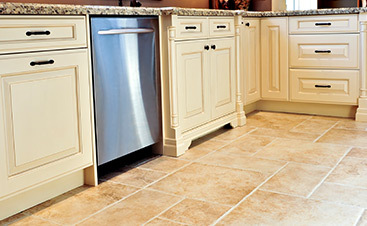 Porcelain tile lasts for years and years. After getting this flooring installed, you won’t have to worry about getting new flooring again for a very long time. In the long run, you will save money by installing porcelain tile. With other materials, if there is an accident, floor could become ruined, and you would have to either get it repaired or install something new. When buying porcelain tile, you can be confident that it will last, and you won’t have to spend money on new flooring for quite some time. Another great thing about having porcelain tile is that it can work in literally every room. This kind of tile comes in a wide variety of patterns and colors, and will make your kitchen, living room, bathroom, or even dining room beautiful. You can also put porcelain tile in outdoor areas. For example, if you have an enclosed porch or outside shower you can use porcelain tiles. It is very weather resistant, and you can clean it by simply using a broom to sweep up debris from the outdoors. This flooring material is very versatile, and you can be creative with where you install it in your home. Porcelain tile is beautiful, versatile and durable. Discuss your needs with a flooring professional today to find out more about the benefits of having porcelain floors installed in your home. Thank you for reading our blog! How can we help you? Contact us today!